It is amazing how some vendors of libraries in the automation industry still require you to read help files in the old Microsoft hlp format. Trying to open such a file results EDGE to show you the following screen. If you think you can download and install the version for Windows 8.1. you are wrong. 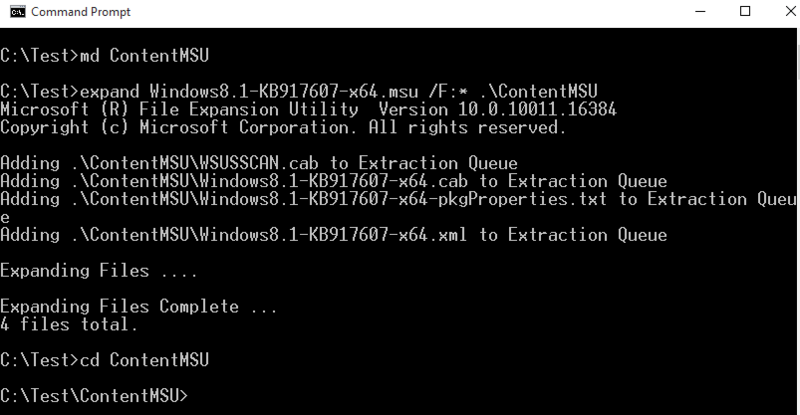 But do not throw away your downloaded MSU-File (for Windows 8.1 x64 the name is Windows8.1-KB917607-x64.msu). Start your command prompt as Administrator! This will extract 279 files. Depending on your culture and language settings we need to locate the right MUI-File. My language is german so I use “de-”. English folk use “en-“.